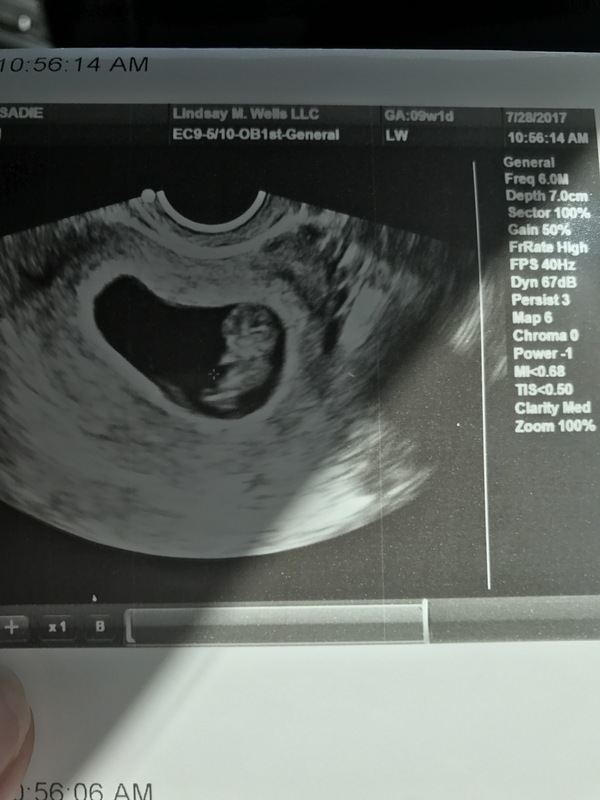 In April, I shared that we would be trying to expand our family soon. 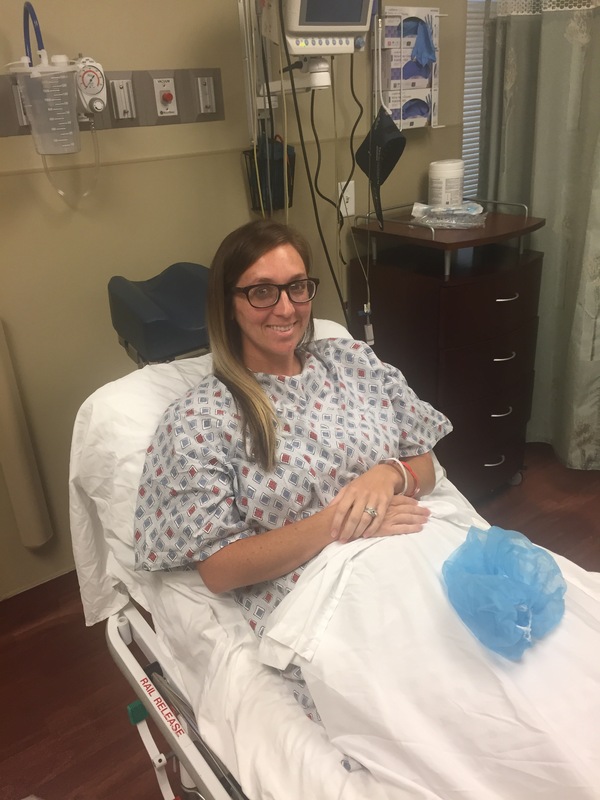 After paperwork, fees, and some tests to prep for medicine, we started the oral medication of estrogen and PIO (progesterone in oil), which is a nice shot that has to be injected in the muscle on the buttock at home. 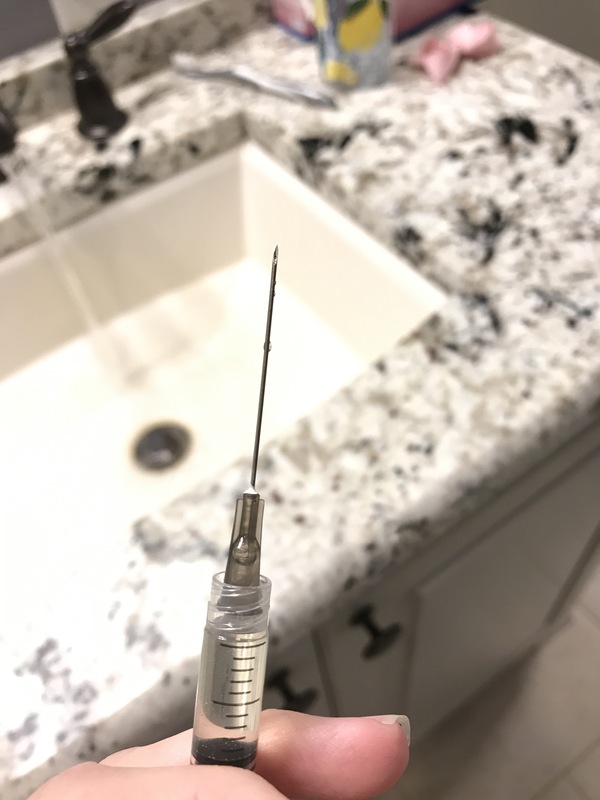 The needle that we inject the progesterone with! The estrogen would thicken my lining so it would be suitable for the embryos to implant and the progesterone is needed to sustain a pregnancy. After three weeks of scans and blood work, we received word that my lining was ready and my levels looked great. June 13 was THE day! Two perfect blastocysts that we transferred! After the transfer, we waited. And waited. And waited. I did test obsessively at home. Seven days post transfer, I finally had a line on a home pregnancy test that wasn’t a squinter! I tested everyday after to make sure the line was getting darker which indicated that my levels were rising. Once again, I made Darren look at my sticks to make sure that line was indeed getting darker. Ten days post transfer was our official blood test. We would have to repeat the following Monday to make sure they were rising. After, we had the go ahead that my levels were rising. 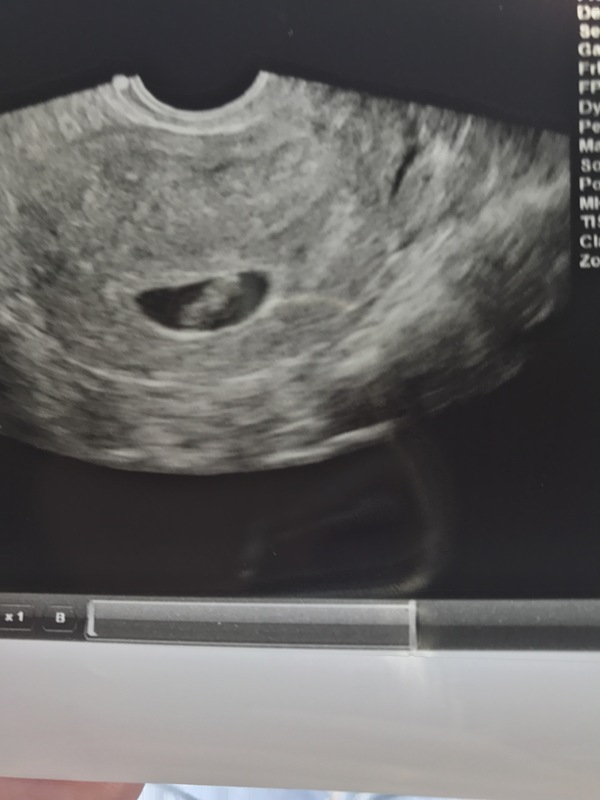 We set up our first ultrasound two weeks away! Ugh! Infertility is full of waits!! Having a busy toddler at home made the time fly by. As always, I get myself worked up for ultrasounds. I prepared myself for the worse so I wouldn’t be shocked when it actually happened. 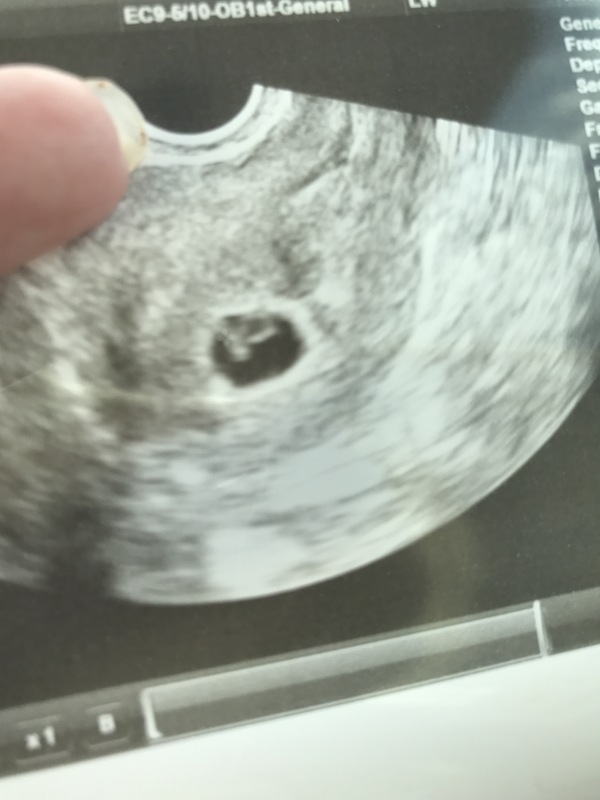 One sweet little miracle at 6 weeks and 4 days. Heart rate was 122bpm. Official due date is March 1. 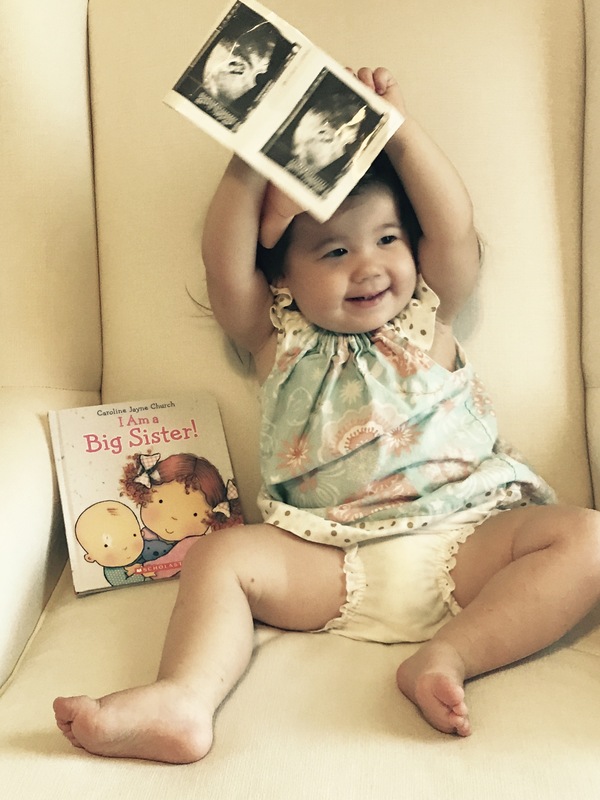 (Audrey’s announcement picture was wrong but I’m determined not to go over this go around!) At that appointment, the nurse practitioner gave me the option to go once a week or every other week. I obviously chose to go once a week. 7 weeks and 5 days! Heart rate in the 170’s. This baby bean is wearing me out!! But 9 times out of 10, I can’t sleep at night. Naps are becoming a daily occurrence. I crave anything salty, which is not like me at all. I’ve also been dealing with nausea and indigestion which is manageable but still yucky feeling! 9 weeks! Baby’s heart rate was 176. Baby was moving and wiggling around. We were able to see it moving its tiny hands! Still exhausted all the time and hungry. Little Debbie pies stay by my nightstand for whenever I need a little snack! Audrey has no idea what’s fixing to rock her world but when she sees my ultrasound pictures, she does say “baby.” So we’re warming her up to the idea. She’s an excellent momma to her baby dolls. 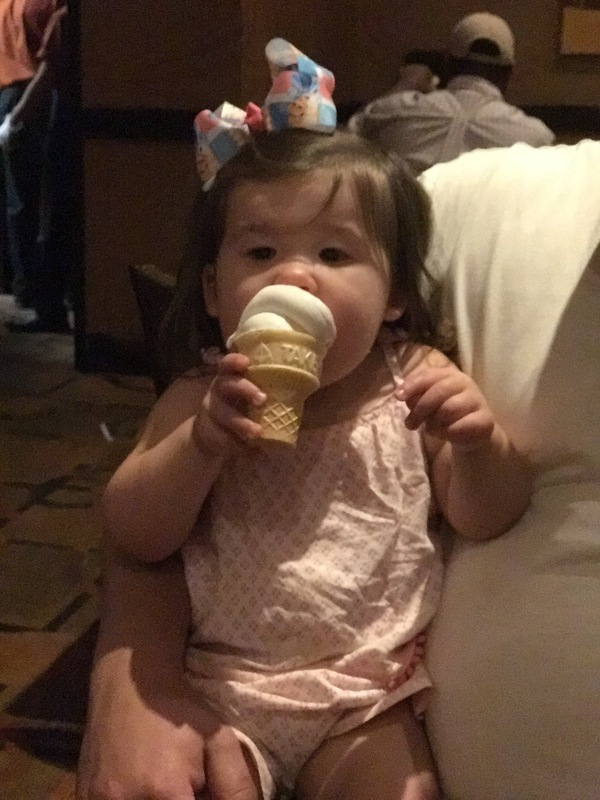 We just need to teach her not to pull them around by the hair. 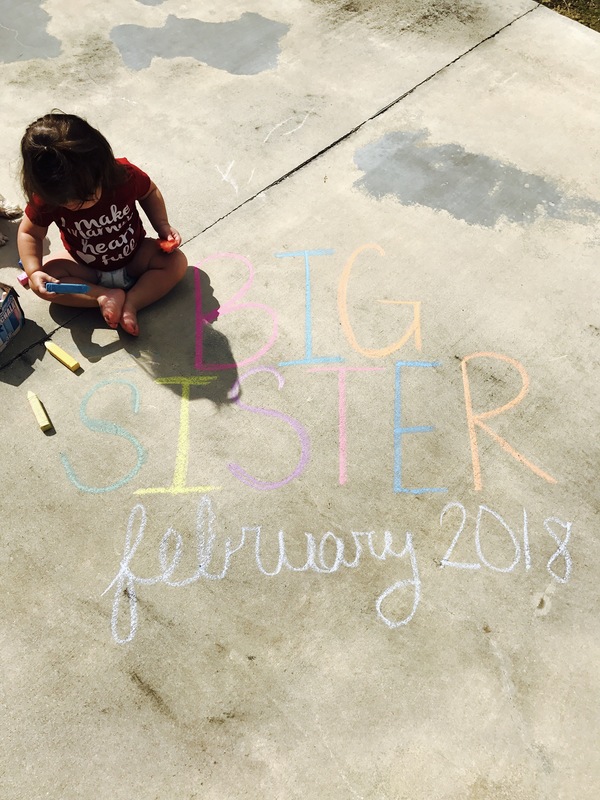 Official Due Date–March 1, 2018! Audrey is the queen bee of the house! 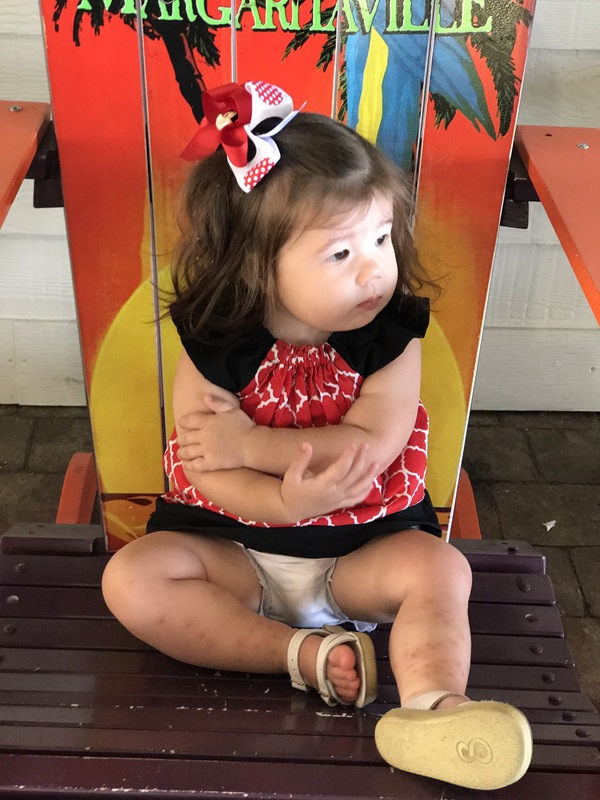 She is now 18 months and she’s bossy, sassy, and just a sweetheart. She keeps us laughing and smiling. 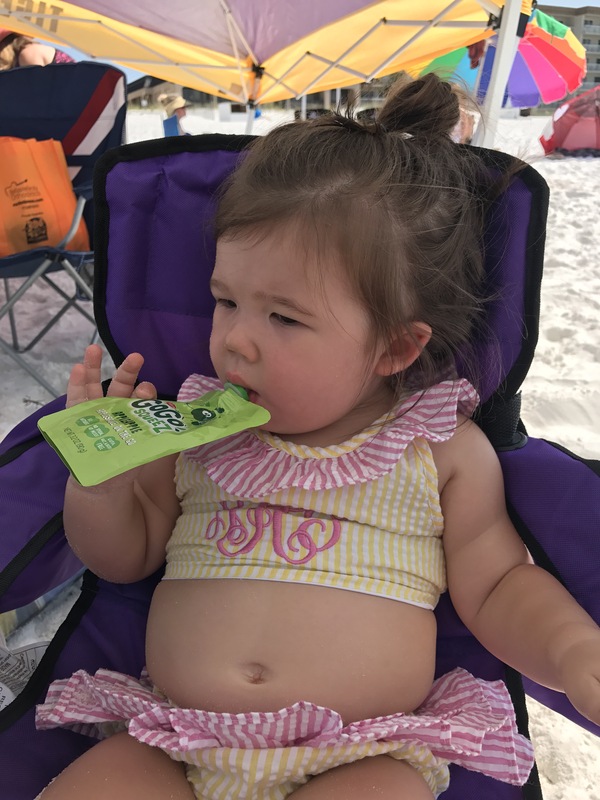 She has the best personality I’ve ever seen in a toddler. She knows how to make anyone laugh. She is talking up a storm and always leaves us scratching our head about what she’s trying to say. She is very opinionated and is not afraid to cross her arms and give a very loud sigh of something doesn’t go her way. She is a professional colorer and block builder. If she is in the zone, you are not allowed to help in anyway. She’ll let you know if she needs your help and then, and only then are you allowed to lend a hand. 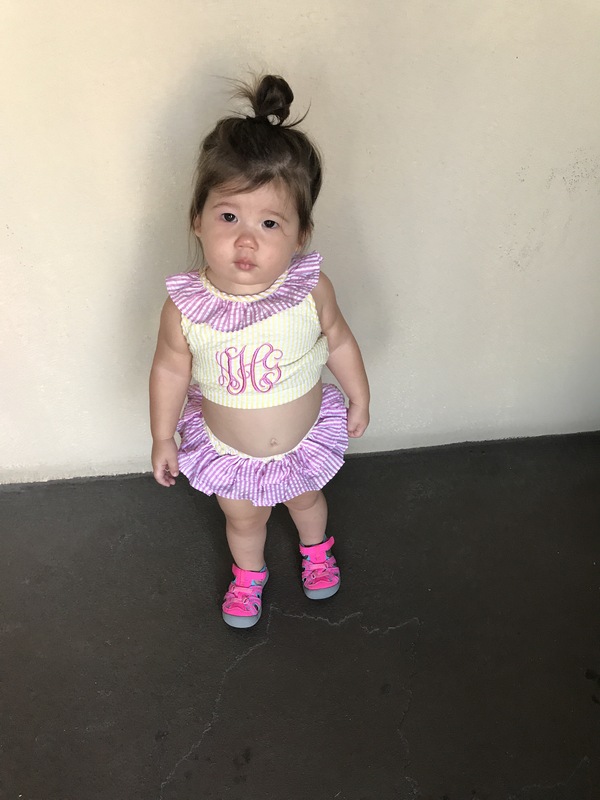 She is set to start a Tiny Tots dance class in August. Also, Darren and I are in discussions to send her to preschool at the age of 2. She loves to be outside and could stay out there all day if we let her despite it being 120 degrees out there. We recently discovered she’s allergic to fire ants so we’ve been limiting her exposure to the grass and Darren has been on top of treating the yard for ant piles. She is a girly girl and a tomboy wrapped into one. She doesn’t mind getting dirty outside. But, she likes her bracelets and dolls too. She has an obsession with shoes that has left me searching for a tennis shoe that I’m convinced has been tossed in the trash.